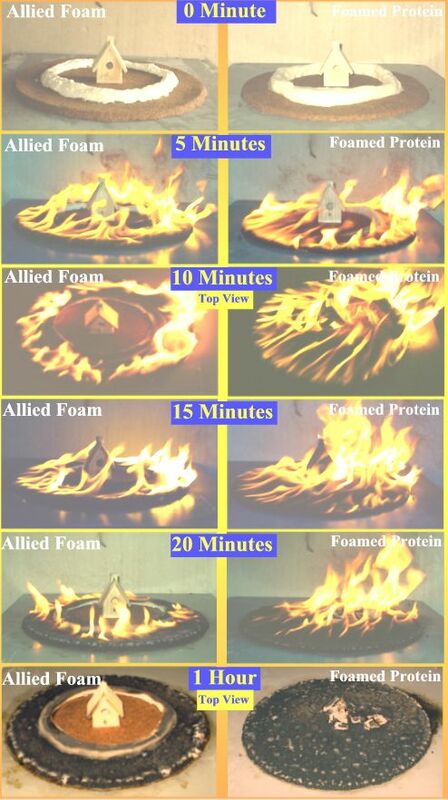 Some of Allied's specially formulated foams may prove useful as effective fire barriers. Initial testing shows that the high foam stability under intensive heat may make these foams as possible barriers for the containment of forest fire.  The application described here is mainly in the product development stage. In the following test low density aqueous foams of various compositions were cast as thin strips in the middle of woodfiber discs made out of firelog. Fire started at the left edge of all the discs shown below. 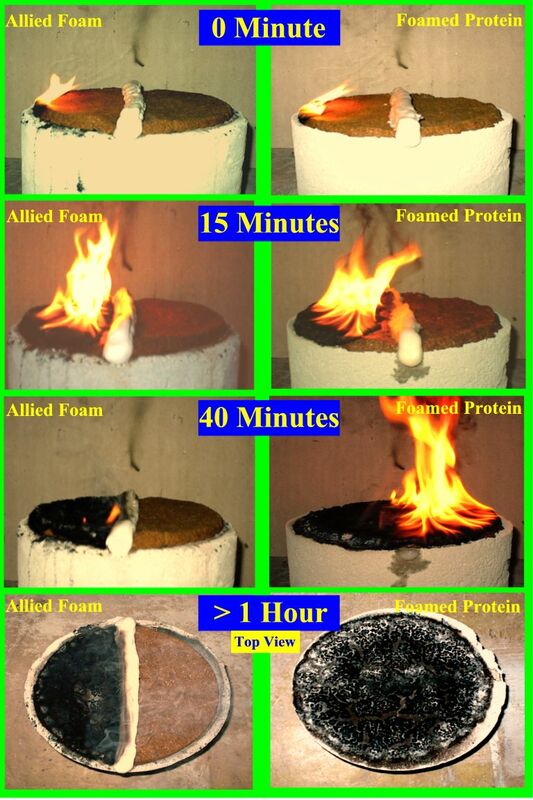 The pictures on the left show the effectiveness of Allied foam composition in preventing fire advances, while the pictures on the right show that the proteinaceous foam evaporated completely by the heat of the fire and the whole disc caught in flame within 40 minutes after the fire started.